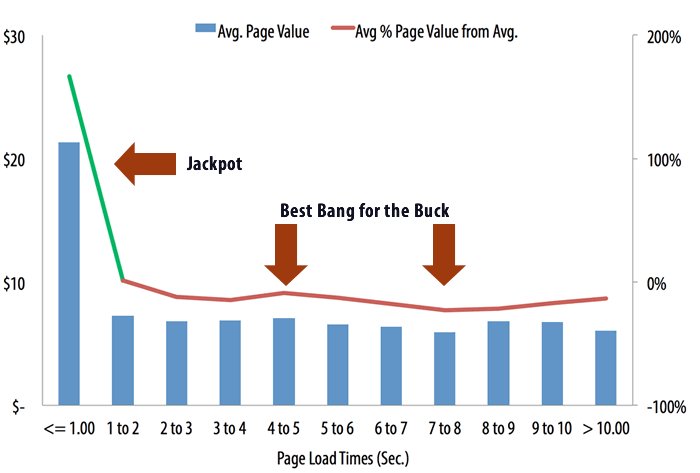 A 16-Site study on site speed by Portent shows that quicker site loading speeds translates to higher revenue per page. The most lucrative pages load in under two seconds. However, if your page loads in about 8 seconds, getting it to load in 5 seconds could increase your revenue 18%. Focus on your home page, login and checkout pages. Then your product category and other top landing pages. Improving your site's speed can have instant positive results so talk to your webmaster today about implementing some of these tips today! Our new website features a mobile friendly design in a template that is customizable and offered in our special responsive website packages! You get a mobile friendly design plus all of your content reformatted to match whatever media your customers are using to access your site... whether it be laptop, desktop PC, or smart phone! With a large form and prominent call-to-action, this template is perfect for local service businesses looking to generate leads through their website. The colors, images and sections can all be customized to match your brand. Contact us at 607-624-8724 or fill out a contact form to find out more! 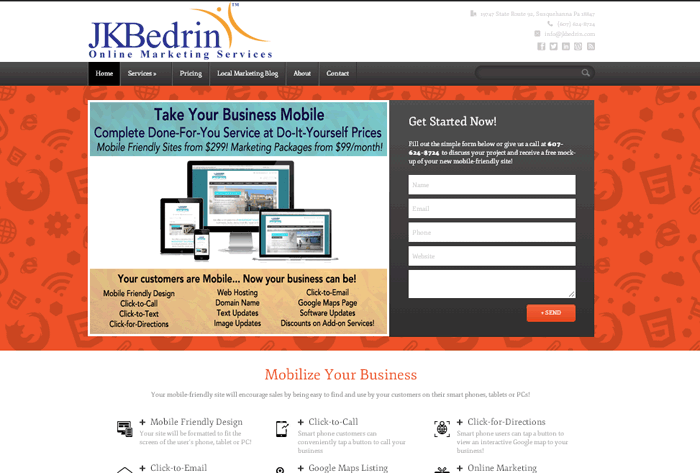 JKBedrin Online Marketing Services are based in Northeastern Pennsylvania and work with clients in nearby cities such as Scranton, Wilkes-Barre, Binghamton, Tunkhannock and Clarks Summit as well as small business across the US from New Jersey to Alaska. Our clients receive full service mobile friendly websites and online marketing packages that drive targeted traffic to their high converting websites generating leads, foot traffic and calls to their businesses.